Lead the strategic response to cyber risk. News of large-scale cybersecurity threats and cyberattacks dominate the headlines all too often in today’s Information Age: hackers exploiting vulnerabilities of a retail giant, foreign influence in elections, and new forms of ransomware underscore the importance of preparing for these types of emerging threats. As a result, cyber risk management has become a fundamental component of business operations, and understanding and mitigating risk has become an essential skill for business leaders, thought leaders, analysts, as well as security and technology specialists. 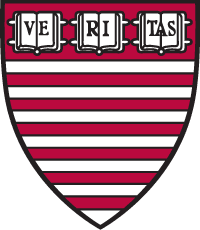 Harvard VPAL's Cybersecurity: Managing Risk in the Information Age is an online short course that equips students with a comprehensive understanding of how to identify and manage operational risk, litigation risk and reputational risk. The course will help students assess and mitigate specific vulnerabilities within an organization’s networks, systems, and data in order to provide the knowledge and skills to protect the integrity, security, and confidentiality of their digital assets. Explore the history of artificial intelligence and robotics and learn the science behind it.